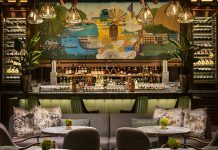 Set to debut in early 2019, MacArthur Place will reveal completely redesigned interiors including a reinvigorated food and beverage programme envisioned in partnership with Zakarian Hospitality. 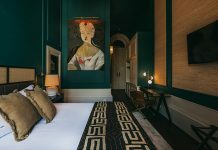 Spearheaded by SFA Design and RDC Architecture in partnership with Love & War for experiential branding, the refurbishment is inspired by and connected to the hotel’s deep historic pedigree in Sonoma. The property was established in 1869 as the private estate for David Burris — a miner, rancher, and founder of Sonoma’s first bank — which, from the library of his estate, helped bankroll Sonoma’s first vineyards in the area and provided a much‐needed backing to the growing region. The Victorian style manor house gracing the entrance of the property was the original homestead of the Burris family, and was surrounded by the same white picket fence that stands today. In 1997, it was converted into a luxurious country inn by local developer Suzanne Brangham. Today, the property’s newly refreshed lobby area is accented by oak wood floors, millwork and blackened steel accents throughout, while a custom-forged iron chandelier creates a focal point in the high-ceilinged space. Upstairs, 64 guestrooms feature furniture exclusively fabricated by Harbour Outdoor, woven benches by JLF and other bespoke elements including custom credenzas, sofas and chairs, as well as natural live-edge coffee tables. Select guestrooms also play host to refurbished wood burning fireplaces. The original farmhouse charm of the property has been enhanced via custom designed millwork vanities in neutral limestone and travertine floors in all guest bathrooms; which boast heated floors, Duravit LUV sinks and freestanding tubs, in addition to Dornbracht’s Tara fixtures. Shower walls feature Walker Zanger Café Collection tiles in a glossy milk finish, while a handful of guestrooms encompass new patios with outdoor showers featuring Speakman neo fixtures in matte black with black slate stone flooring and white solid surface wall panelling. 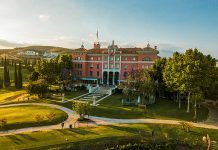 Award-winning chef Cole Dickinson has been brought in as Executive Chef to oversee all food and beverage operations for the hotel’s dining centrepiece, Layla, as well as The Bar at MacArthur, The Porch, weddings and social events, poolside dining and the in-room dining programme. Layla expresses its modern Mediterranean style throughout with custom wicker pendants and sconces made of rope, glass and blackened steel. 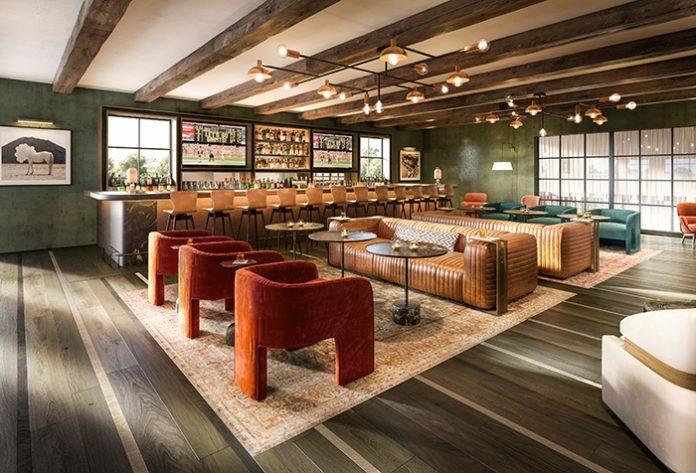 The Bar at MacArthur, meanwhile, will bring old world charm with modern twists to Sonoma via a hammered copper bar top, which is juxtaposed by rich oak wood floors, polished plaster walls in dark green and roughhewn beam overhead. Elsewhere, the property’s expansive grounds and verdant gardens have been carefully curated by Girvin Landscape Architecture and play host to an impressive art collection — a hand-selected and dynamic mix of sculptural pieces can be discovered throughout the property, from modern sculptural work to tactile pieces.